Under Milk Wood – wasn’t that a Welsh radio play – something to do with Richard Burton? Well not at Northern Stage it isn’t. This new production, directed by Elayce Ismail, takes the life of a rural village and its inhabitants, and transplants it to an imaginary North East coastal town. The 69 characters are portrayed by a mere two actors. Such a crowd of voices demanding attention especially when you can’t see them, make a coherent narrative fairly impossible. Our plucky cast tackle this challenge supported by a multi media smorgasbord of sound effects, original music and digital projections. The digital screens, on two sides of the auditorium sandwich the audience. The performance is in the round and plays right through for 90 minutes with no interval. This is always a risk for the endemic fidgeter who likes a G&T and a toilet break half way through. Does this geographical shift to the North East work? 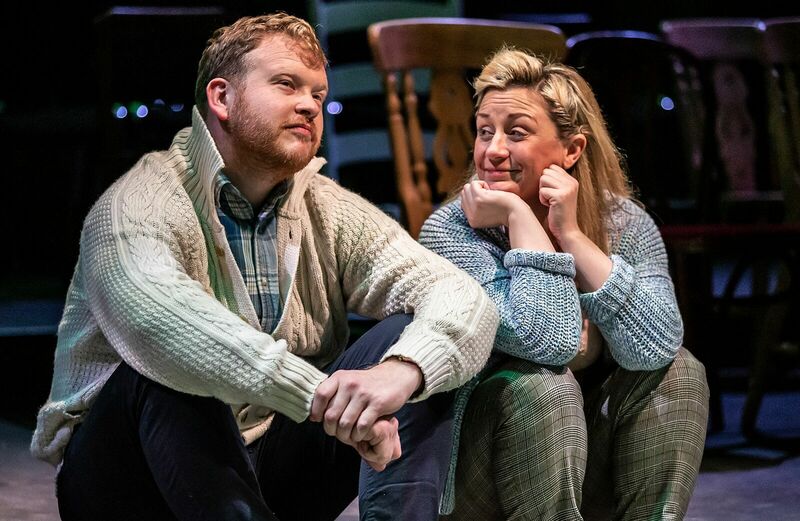 I confess I didn’t really like the strong North East accents initially – where was the musical Welsh lilt of the valleys, which is where the play is quite clearly set? It did jar somewhat for me, especially as so many of the names are Welsh – Mwfanwy, the Pughes, Di, Morgan. There aren’t many Mwfanwys in Wallsend. 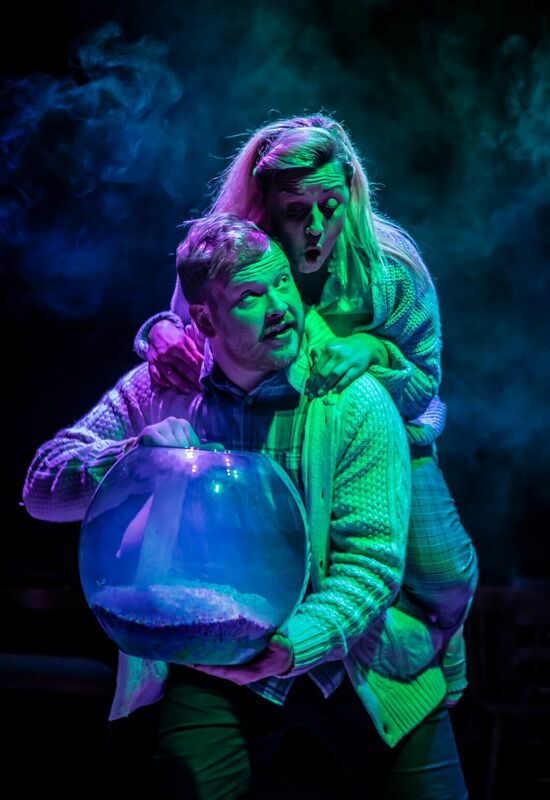 Under Milk Wood – a tall order for two actors? There is an awful lot going on for our two actors to bring to life in this play. Christina Berriman Dawson and David Kirkbride tackle the avalanche of characters and the dense text with relish. As the pace of the narrative gathers, we are drawn into the lives of the villagers and it gets easier to immerse yourself into this strange community, which is so everyday at the same time. Both actors are strong and don’t over do it. An easy temptation with this piece as there are just so many voices to portray. The production is definitely enhanced by the multi media approach. It gives you something else to look at other than our cardiganed couple. The actors create sound effects themselves, which illustrate different characters. The snapping of a rubber glove, the gargling of water, the echo of voices. The digital film projections by Kris Deedigan pop up with idyllic rural scenes, seascapes, gossiping mouths and watching eyes. I enjoyed these additions as they punctuated and helped to illustrate the relentless, if delightful, poetry. You really need to concentrate to keep up with the multitude of voices. Characters emerge and then float away into the narrative only to re emerge later. The Captain, the teacher, the butcher the shopkeeper, the postman, the prostitute.. The language in this play is beautifully evocative. 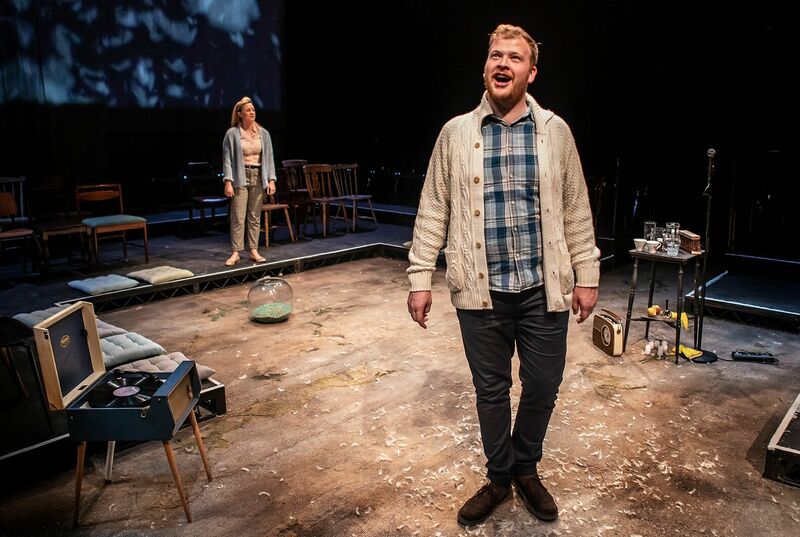 From the ‘sloeblack, slow black crowblack, fishing boat bobbing sea’ to the inexorable passage of time ‘slow clocks, quick clocks, pendulumed heart-knocks, china, alarm, grandfather, cuckoo.’ This show is an audible treat – Dylan Thomas is here at his lyrical best. 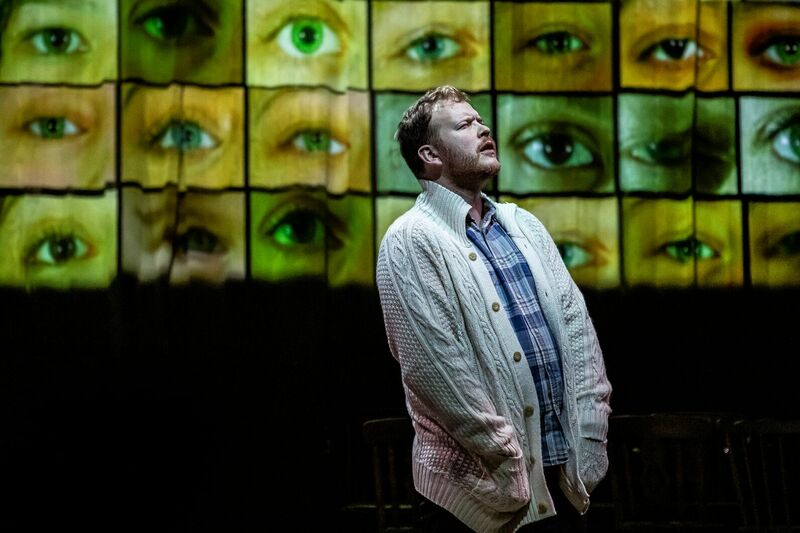 Justice has been done to Under Milk Wood by this thoughtful, accessible Northern Stage production. 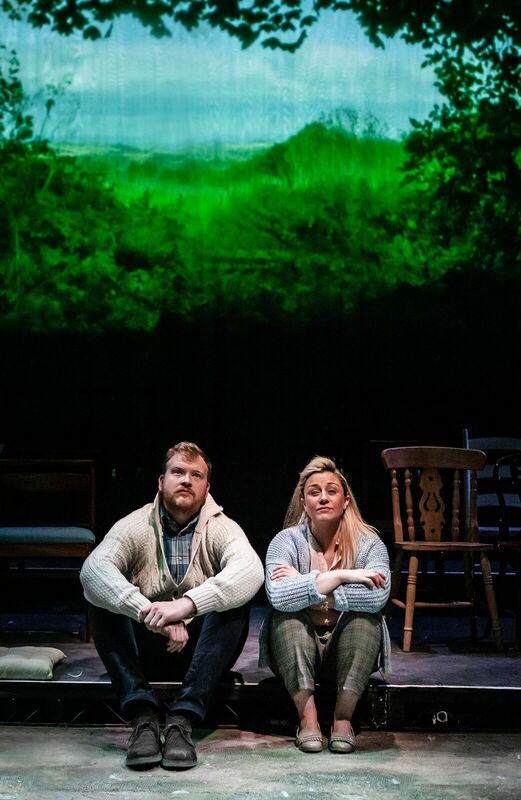 The play holds up a mirror up to the universal desires and foibles of humanity, and explores the incestuous nature of close knit communities and rural life. These themes remain relevant today. We still gossip about our neighbours, judge them, love them and hate them. We still yearn for those we loved that aren’t around any more. There are still happy people, and people who will never be happy. I did enjoy this production – I was wondering how they were going to do it, but it was entertaining, accomplished and most definitely well worth a visit to Llareggub! 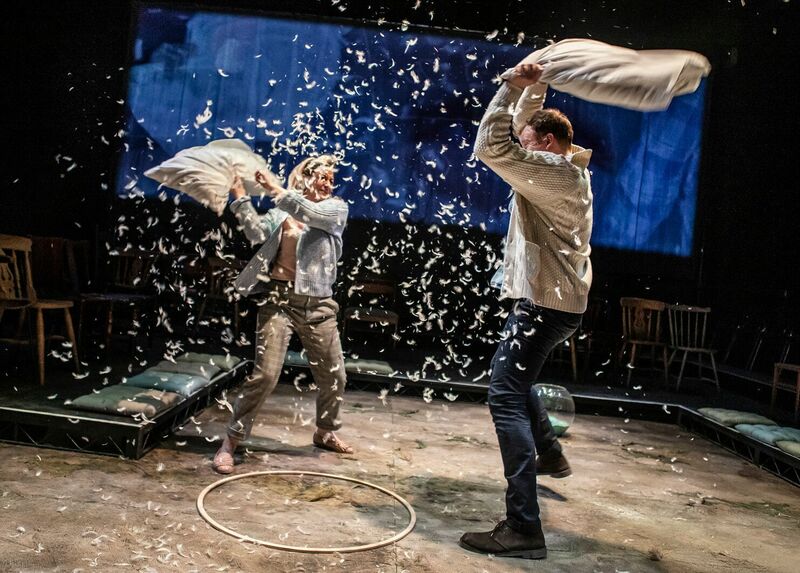 Under Milk Wood plays at Northern Stage until the 17th November.